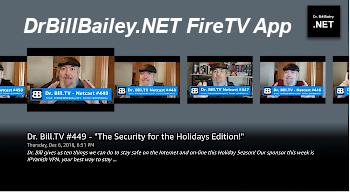 I told you that IPTV was coming… and it is getting hotter and hotter! Now a service is competing with Apple TV for viewers. 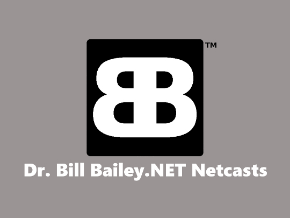 The Dr. Bill Website Now Supports OpenID! We are “cutting edge” as always! Have you ever used the vi editor in Linux or Unix? 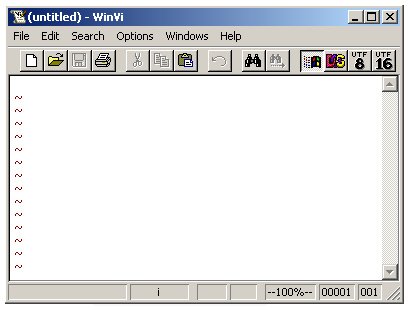 Need some practice with the editor in Windows so you won’t be quite as lost when you have to use vi? Well, now you can! “This editor is especially useful for friends of the Vi editor, who do not want to give up the little conveniences offered by Windows. Many people think the advantages of WinVi suggest a turn to this editor. * speedy program start because it is avoiding use of DLLs, MFC, etc. Weird. Imagine your PC being taken over so that you can’t do anything… until you call a number and pay a $30.00 extortion fee to have you PC unlocked! This is why we don’t read attachments EVER! Sigh. Check out the screen shots in the article… this is a weird one! 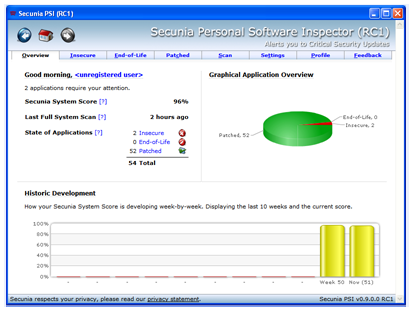 CES and Macworld news, Geek Software of the Week: Secunia Personal Software Inspector! Also, Sun buys MySQL! 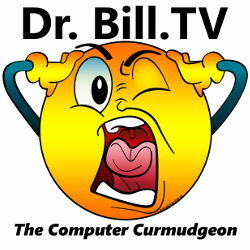 Dr. Bill tells us about his Christmas loot! 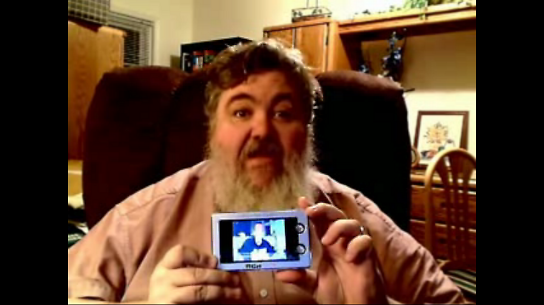 He shows us his new (to him) RCA Lyra 2780 Personal Media Player. Also, a YouTube video recommendation! This week’s GSoTW is very cool! Secunia Personal Software Inspector keeps track of all your installed software and makes sure that you have the latest, greatest versions installed, which is safer from a security point of view! Very nice! The Secunia PSI is available free of charge. Secure your PC. Patch your applications. Be proactive. Scan for Insecure and End-of-Life applications. Track your patch-performance week by week. Direct and easy access to security patches. Detect more than 300,000 unique application versions. Here’s Part Two of the Macbook Air Intro… with Features! Especially check out the wireless-“borrow”-a-CD from another system! You GOTTA see this video! Dewd!!!!! Check this out! You WILL NOT believe it! Sun Buys MySQL for 1 BILLION Dollars! Wow! MySQL is free to download and use… but Sun is paying for the company BIG TIME!